Our success is largely due to our team of experienced Solicitors, Costs Lawyers, Draftsmen and dedicated support staff. The stability and strength in depth of the company is reflected in the fact that most of our key staff have been together for a considerable period of time, some for in excess of 15 years. As with any professional organisation, training and continuing education are essential. At Elite Law Solicitors we are committed to the ongoing development of our team. You can be sure that whoever is assigned to your matter they will have the knowledge and experience to deal with it professionally, quickly and accurately. Stephen has been a Costs specialist for over 30 years. He became a Fellow of the ACL in 1994 and was awarded the Edis Cup for the highest mark of the year. Stephen is a former Council Member and Treasurer of the ACL and was one of the first draftsmen to obtain the status of Costs Lawyer, with rights of audience and the right to conduct costs litigation (a reserved legal activity). In 1990 Stephen went into partnership with John Mistri and created HM Law Costs Draftsmen (now Elite Law Solicitors), which practiced successfully for over 20 years. Stephen specialises in the preparation of Bills in clinical negligence, catastrophic personal injury and commercial matters. John started his career in 1982. 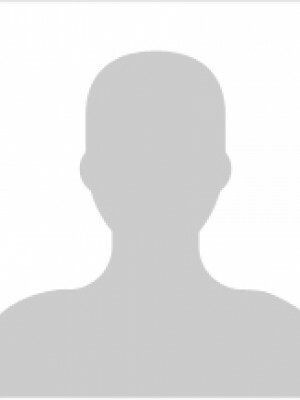 Like Stephen he is a past Council member of the ACL where he was responsible for education and was one of the first draftsmen to obtain the status of Costs Lawyer. John regularly provides seminars to clients on the impact of new rules and changes to costs litigation. John specialises in advocacy and complex matters with a particular interest in solicitor and own client and non-contentious disputes. He is responsible for the supervision of all Detailed Assessment hearings in the SCCO and other regional and County Courts attending many of those hearings personally. John has been involved in very high value assessments, prepared expert evidence for security for costs claims and has been involved in numerous high value group litigation claims. He also assisted with the highest valued claim from public funds in the Isle of Man. Virginia Ralfe, Director at City Lawyers has described John’s approach as “clear and pragmatic” and that his help was “greatly appreciated in helping to defeat a number of arguments raised by the paying party”. She also believed that John was “very helpful in that the opposing party was respectful of his knowledge and sensible approach which assisted in enabling a settlement to be achieved”. John is also an ADR Group Accredited Civil & Commercial Mediator and can assist in a variety of disputes. 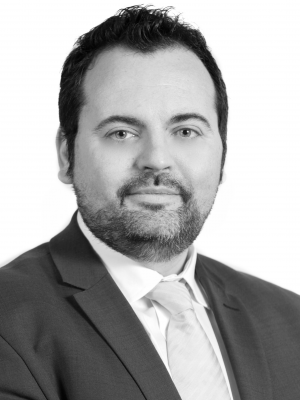 James started his professional career as a Costs Draftsman in 2001 firstly for a well-known national law firm and thereafter for HM Law Costs Draftsmen. He subsequently qualified as a Solicitor and worked for McMillan Williams (MW) as the Head of the Costs Department and subsequently as Head of Revenue Generation. Whilst at MW James was responsible for supervising costs aspects relating to all fee earners practicing in the areas of personal injury, clinical negligence, family, civil and professional negligence. James was also part of the management team that dealt with MW’s expansion from a small high street practice to a practice employing over 250 staff at 16 branches. James specialises in high value complex matters with a particular interest in clinical negligence. In 2016 he was shortlisted as Lawyer of the Year by the Modern Law Awards and is currently Vice President of the Surrey Law Society. Sal commenced her legal career as a trainee solicitor in Holborn, London in 1996 where she primarily spent time working in the civil and commercial litigation departments. She qualified in 1998 having gained vast experience in the High Court and County Court judicial systems. Her career changed direction when she joined Blaser Mills in 1999 as a property solicitor. It was there she discovered her passion for transactional work and all things property related. She became a Partner in 2002 and remained at Blaser Mills until 2007. She joined Hine solicitors in Gerrards Cross in January 2008 as the Head of Property Department. She became a Partner in 2010. The key areas of her role were business development, marketing and fee earning for High Net Worth clients. In 2017 she joined Elite Law as both a Partner and Head of the Property Department. Chris has been a solicitor for over 30 years having read Law at Exeter University. He specialises in a wide range of family law matters, including divorce, financial matters arising from separation and arrangements for children. He also recognises that family law cases often involve highly charged emotional issues which require sensitive handling and that an aggressive approach to such matters can often be counter productive, exacerbating what can be an already difficult situation. He is a keen promoter of alternatives to court process as a means of resolving such issues. He qualified over ten years ago as a collaborative lawyer, a process which enables separating couples to work together with their lawyers to resolve the problems that confront them, avoiding the expense and bitterness that court proceedings can create and, importantly, allowing the couple to make their own decisions as to the way forward. Chris joined Elite as a consultant to develop and promote family law within the practice. Meg was admitted as a Fellow of the Chartered Institute of Legal Executives in 2008 and has been working in private client practice in the local area since 2001. Meg joined Elite Law in August 2017 as the Head of the Private Client Department and is based in our Amersham Office. 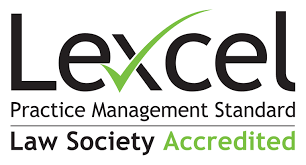 I qualified in 1990 and as a high street practitioner I obtained experience in a variety of areas of law. Over the last few years I have concentrated on Property Law having worked in both regional firms and firms in central London. Having found that I enjoy Property Law I now specialise in this area. This includes both residential and commercial property transactions for both individual and commercial clients. For homeowners I can help you in the sales and/or purchase of your residential property and deal with the extension of your lease if this is required. If you are a business owner I can assist with the purchase and sales of business premises and commercial properties such as shops, offices and warehouses. If you are taking on a business lease, or are a commercial landlord who wants to grant a new lease to a tenant I can help you with this. I can also advise on other property related non contentious matters, such as transfer of part of land. Whether you are buying or selling your home for the first time or have bought before, or are taking on your first shop lease or you are a seasoned business person who has been involved in commercial property for many years, I will try and help in making your transaction as smooth and painless as possible. Outside work I enjoy the theatre, world cinema, travel and skiing. Following qualification as a Solicitor in March 2016 at a reputable national law firm Joe joined Elite in November 2016 to be part of the Property Team. Joe deals with residential property transactions including sales, purchases and transfers for both leasehold and freehold properties. Outside of work Joe enjoys going to the gym and is an avid football fan. Danielle studied Law at Oxford Brookes University, following which she commenced working within Lyons Davidson Solicitors. Whilst working Danielle completed the Legal Practice Course at the College of Law, London Bloomsbury. Danielle also gained experience as a MOJ case handler after leaving Lyons Davidson Solicitors. 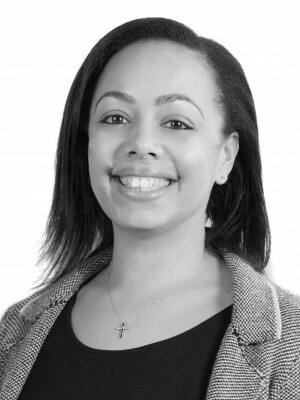 Danielle joined Elite Law in August 2015 and after completing her training contract qualified as a Solicitor in November 2018 specialising in Wills, Trusts & Probate. Jo’s first career was as a Senior Registered Sick Children’s Nurse at Great Ormond Street Hospital. Jo is also qualified as an Adult Education Tutor and designed and ran childcare training courses suitable for new parents, nursery workers and child minders for Buckinghamshire County Council. Jo also sat as an advisory Board member for a UK branch of an international health care product company. Subsequently Jo embarked on a new career as a Costs Draftsman and joined HM Law Costs Draftsmen (now Elite Law Solicitors) in 1999. She predominantly deals with the preparation of Bills of Costs, with a particular interest in Very High Cost Case Plans in complex publicly funded matters. As a result of Jo’s attention to detail, excellent drafting skills and copious experience she was appointed as our Head of Legal Costs Services in 2015. Siraj started his legal costs career in 2009 with an in-house role at a London based firm of solicitors following the completion of his LLB Law degree and the Legal Practice Course. He then moved to HM Law Costs in April 2011. As a Costs Lawyer and Chartered Legal Executive, Siraj is dual qualified and is well versed in the preparation of Bills of Costs, Points of Dispute, Replies to Points of Dispute and Precedent H Costs Budgets. Siraj represents clients both in the justification and opposition of costs and has extensive experience of high value personal injury, clinical negligence and commercial litigation matters. He also attends costs related application hearings, directions hearings and represents clients in Solicitors Act matters. In his spare time Siraj enjoys spending time with his family. He is a keen football fan and organises Bedfordshire's largest annual 5-a-side charity football tournament, raising money for various charitable causes. Sue has been practicing in legal costs for over 30 years and is well known for her specialist experience in group litigation as well as costs budgeting. She is a former chairman of the Association of Costs Lawyers and a leading authority on costs. As a result she writes regularly for the legal press on costs-related issues. As well as co-founding specialist costs consultancy (Group) Litigation Costs Services, she created and founded Omnia Legal Software, the first secure web-based program offering a costs budgeting and management service as an ‘add-on’. Sue joined Elite in January 2017 to not only expand our group litigation services and provide consultancy and training on all aspects of costs but also to assist in the development of current and future offerings such as legal project management, pricing and auditing. Abraam is experienced in dealing with all areas of costs with particular focus on receiving party work in complex clinical negligence, personal injury and industrial disease matters. Abraam is proficient in dealing with the entire detailed assessment and costs management process and is routinely involved in high value complex cases, where costs are significant. Abraam often provides bespoke advices to clients in matters where the normal costs provisions do not automatically apply. He is a skilled negotiator and provides pragmatic and commercial advice to ensure the best results for his clients. Abraam utilises his experience and legal knowledge to offer a tailored service to his clients and assistance to his colleagues. In addition to Abraam's fee earning responsibilities, he also works with clients in order to help them improve internal procedures and maximise their costs recovery. After obtaining an Economics degree, Esmer went on to complete his Graduate Diploma in Law and Legal Practice Course at the College of Law. Esmer started his career in costs at a well known national law firm, as part of the in-house team. He went on to complete his training and studies on the ACL and qualified as a Costs Lawyer in 2015. From his time working in-house for two large personal injury law firms, Esmer has gained a wealth of experience in all types of personal injury claims, from low value RTAs to complex high value industrial disease claims. Esmer has a particular interest in the development of costing software, in order to deliver an innovative and market leading approach with the highest level of quality standards for his clients. Tabassum started her legal career as a paralegal in 2007 with a well-known national Defendant law firm specialising in Personal Injury Litigation, but also practised in Family Law. Tabassum started her career in costs in 2011 as a Costs Draftsman as part of an in-house team. She then went on to expand her career by moving to London and working in the City at a costs firm followed by another in-house role at another well-known Defendant national law firm. She qualified as a Solicitor in 2016. 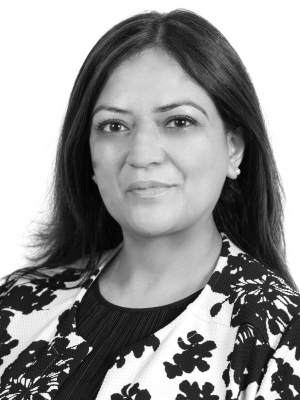 Tabassum has gained a wealth of experience in all types of personal injury claims and has specialised in Defendant matters. She has also gained vast experience in high value shipping cases, Libel/Defamation Cases, Aviation & Travel Litigation, Professional Negligence, Product Liability cases, Clinical Negligence and also dealt with Criminal Prosecution in Clinical Negligence. Following completion of her degree in Microbiology Vanessa went on to study physical geography, during which time she taught surveying and cartography as well as supervising field trips for undergraduate geography students. Vanessa embarked on a legal costs career when she joined HM Law Costs Draftsmen in 1995. She now deals with a full spectrum of inter partes and publicly funded claims for costs. Vanessa specialises in multi-party complex commercial claims and also deals with very high cost case plans. Mark began his legal costs career at a national law costs drafting company in 1989. He subsequently joined HM Law Costs Draftsmen in 2006. Mark became an associate member of the Association of Law Costs Draftsmen in 1995 and subsequently qualified as a Costs Lawyer in 2010 with rights of audience and the right to conduct costs litigation, which is a reserved legal activity. Mark specialises in the preparation of publicly funded claims for costs in family, care and civil matters together with the preparation of Very High Costs Case Plans. Mark is also an expert in the preparation of inter partes Bills of Costs. Ian’s first career was in banking. He embarked on a new career as a trainee costs draftsman in 2003 and became a Associate Member of the Law Costs Draftsman on 1st August 2008. He subsequently qualified as a Costs Lawyer in June 2011. Ian’s work involves the preparation of bills and schedules of costs and costs budgets in civil matters, with a particular specialism in historic abuse cases. Fleur has 25 years’ experience preparing bills of costs for solicitors nationwide. Her initial 8 years were spent dealing with costs in civil matters including many high cost personal injury, industrial disease, and clinical negligence. She also has 20 years’ experience in dealing almost exclusively with family Legal Aid work.. Fleur specialises in complex care cases. Kashera is experienced in handling clinical negligence, catastrophic personal injury and commercial matters. Kashera read law at university and went on to study the LPC and LL.M at the University of Law. Prior to joining Elite, Kashera worked in-house for a national firm where she prepared bills of costs for detailed assessment and advised on an array of costs related matters; streamlining cost management procedures and optimising cost recovery. Kashera’s work involves the preparation of bills, points of dispute and cost budgeting. Hayley first started costs drafting in 2000. She went on to become a Fellow of the Association of Law Costs Draftsmen in 2007. Hayley initially trained with one of the UK’s leading providers of claims services to insurers and other compensators before working in house for a firm of solicitors. She joined HM Law Costs Draftsmen in 2011. Hayley has a wealth of experience in preparing publicly funded claims for costs and specialises in family and care matters, including Very High Costs Case Plans.